The PURINA® World Dog Games is a brand-spanking-new event that celebrates all the things we love about dogs. The Games will be held across 31 October and 1 November at Sydney’s Acer Arena and the event is set to be the biggest canine extravaganza ever held in Australia. 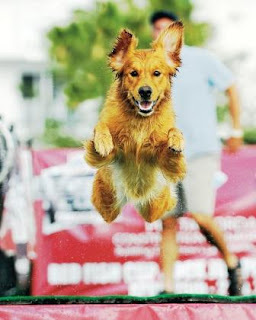 The country’s finest canine athletes will compete for the title of "Top Dog" in a range of sports including agility, canine disc, flyball and diving dogs. There will also be a vibrant "Dog Fest", where dog lovers can immerse themselves in all things canine — with experts from Australia and around the world, a dog breed showcase, lectures, demos, competitions and exhibitions to keep the whole family entertained! Log on to www.worlddoggames.com.au for more info.